of battery box, should be bent outward to make more room for batteries. of the battery, while Model B has a 6TL printed on the side of the battery. battery caps of Model B do not protrude through the bracket. as shown for Model B. 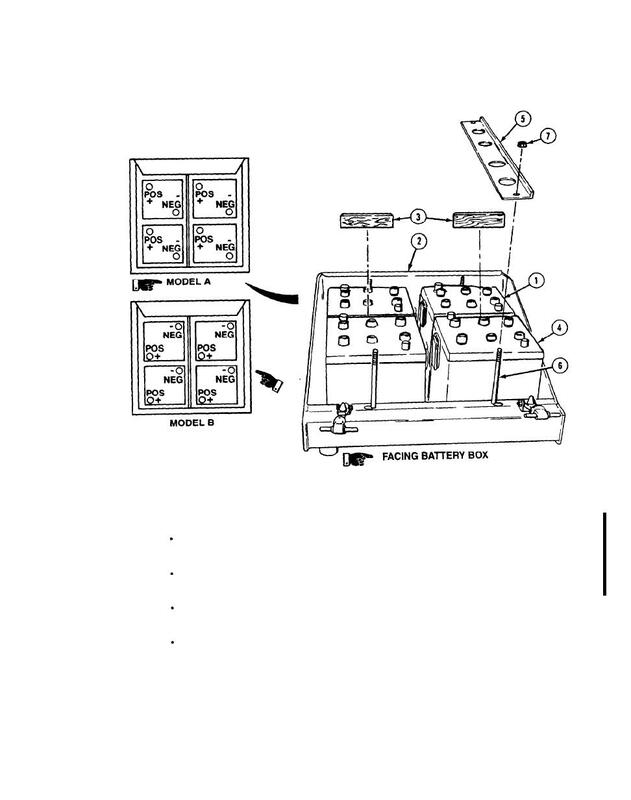 Install two back batteries (1) in battery box (2). Install two wooden spacers (3). Install two front batteries (4) in battery box (2). Install two brackets (5) over carriage bolts (6) with four nuts (7).